I’d like to welcome Sonia Olivares as the Center’s new General Coordinator. 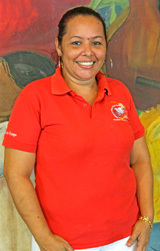 Sonia is uniquely qualified for this leadership position, as she has been part of the Center, either as a student or staff member, since she was 10 years old. Most recently, she served on the management team as the Center’s Formation Coordinator. Recently, I visited the Center and had the opportunity to meet with Sonia and the management team. While everyone agrees there are current challenges (and no doubt the future also will be full of challenges), we are exceedingly optimistic about the Center’s future with Sonia at the helm. 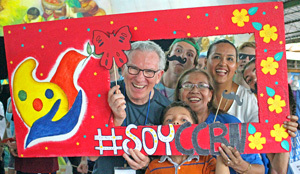 It’s also worthwhile to note that Sonia is the first general coordinator who is Nicaraguan. She is a role model for every student and staff member at the Center. When they look at Sonia, they see what they, too, can achieve. That’s exciting! You can read an interview with Sonia below. I also have the special honor of welcoming my daughter, Kelsey Overley, as the newest Friends of Batahola volunteer. Kelsey is a 2012 graduate of Archbishop McNicholas High School in Cincinnati, Ohio. In 2016 Kelsey graduated with degrees in Spanish and Health Administration from Muskingum University in New Concord, Ohio. Kelsey first traveled to Nicaragua, accompanied by her sister Lauren, with the Immaculate Heart of Mary Parish immersion group in 2011. That trip got her attention, and she began talking about going back. She found her way back four times since her first visit. She volunteered at the Center for a month in May 2014 and worked as a translator for our Friends of Batahola Board visit in February 2016. In between her past visits to Nicaragua and today, Kelsey spent the last year in Toledo, Spain, teaching English at the University of Castilla-La Mancha. Kelsey is the first volunteer from the Center’s twinning community, Immaculate Heart of Mary Parish in Cincinnati, Ohio. I know how excited she is to be there, and I look forward to watching her work and grow at the Center! You can read her welcome story below. As always, we feel optimistic and energized about the many, many good things happening at the Center, and we thank you for your continued support. Sonia Olivares is the Center's new General Coordinator. She receives a hug from a happy staff member! Sonia Olivares is the Center’s new General Coordinator, following the leave of Jennifer Marshall who led the Center for 12 years. Sonia has a long and remarkable history with the Center. 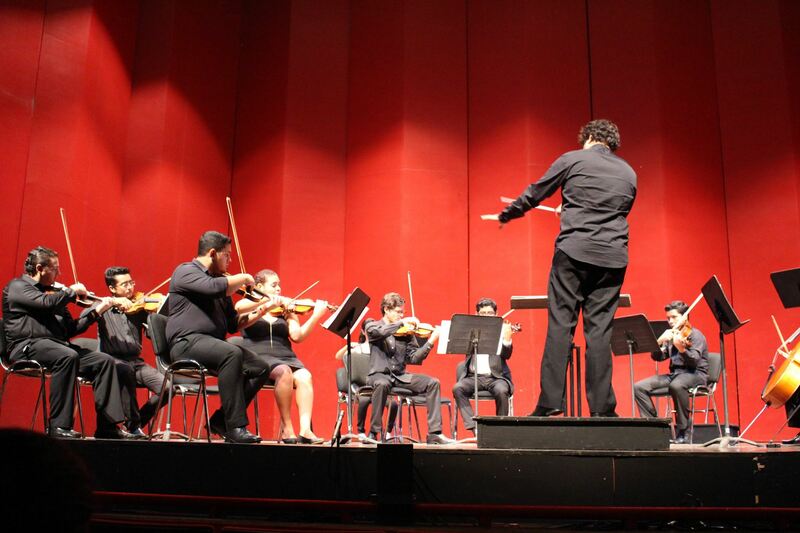 She first arrived at age 10, eager to join the Father Ángel Torrellas choir. 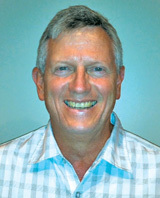 He soon noticed her leadership skills and convinced her to teach Confirmation classes. At age 17, Sister Margie invited her to teach computer classes and to become a part of the women's group. 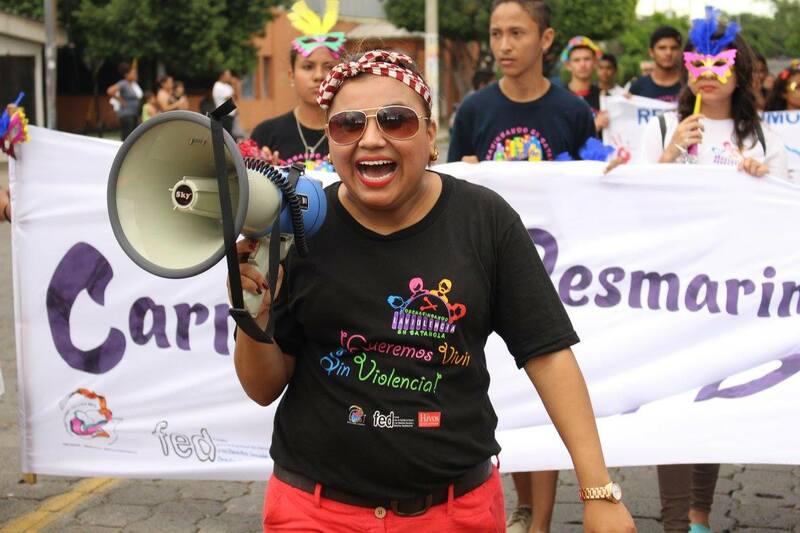 At 21, she became the Center´s librarian. In 2000, she joined the Management Team and later became the Center’s Formation Coordinator, overseeing all of the courses for women and youth, scholarships, education for children and adolescents, and the library. I sat down with Sonia for an exclusive Friends of Batahola newsletter interview. FOB: How are you doing after three months as the new General Coordinator? SO: I’m still in the learning stage. I’ve gotten to know a lot about the technical side of the Center: job profiles, budgets, structure, etc. It’s a major responsibility with a lot of demands, and everyone wants to be heard, but I feel very committed to doing everything well so that we can all walk together with confidence towards a clear goal. FOB: What’s been the most rewarding part of the job so far? SO: It’s been really nice to see how each employee has expressed their feelings about me taking this job. I knew that they cared for me, but it was so nice to hear that they all see me in this position. That affirmation really filled me. FOB: What motivates you to continue every day? SO: I’m very committed to the Center. I’m grateful for its presence. It formed me as a child, an adolescent, and as a woman. I’ve helped out in all of the different areas here. This is a unique opportunity to give back. FOB: What changes do you want to make? SO: We need to make some small changes at the Center. There is a lot of burnout among our staff, and we need to focus more on self-care. We also have to redefine the focus of each area and set goals that we can quantitatively measure within our specific geographic range. We need to focus on what we do best and apply it to our community so as to see change manifest. FOB: What gives you confidence that you’ll do this job well? SO: I’ve been in charge of the education area since it was defined as its own department in 2000. I feel so proud of all of its facets: scholarships, the library, and adult and youth vocational courses. It´s a well-structured area, and I have a wonderful team that is very efficient and works within a results-based methodology. Many have told me that the area functions so well because of me. Other areas are struggling in the Center. Thus, I want to take this experience and leadership and apply it to the rest of the Center. Best of luck Sonia! You have the support and love of all the Friends of Batahola. 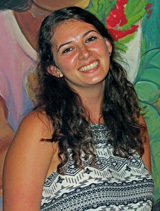 Kelsey Overley is the Center's newest Friends of Batahola volunteer, arriving in mid-July. The Center is pleased to welcome Kelsey Overley as the newest Friends of Batahola volunteer. Kelsey was raised in Cincinnati, Ohio, and is a parishioner at Immaculate Heart of Mary Parish there. She studied Spanish and health administration at Muskingum University. After graduation, she worked in Spain as an English teacher. 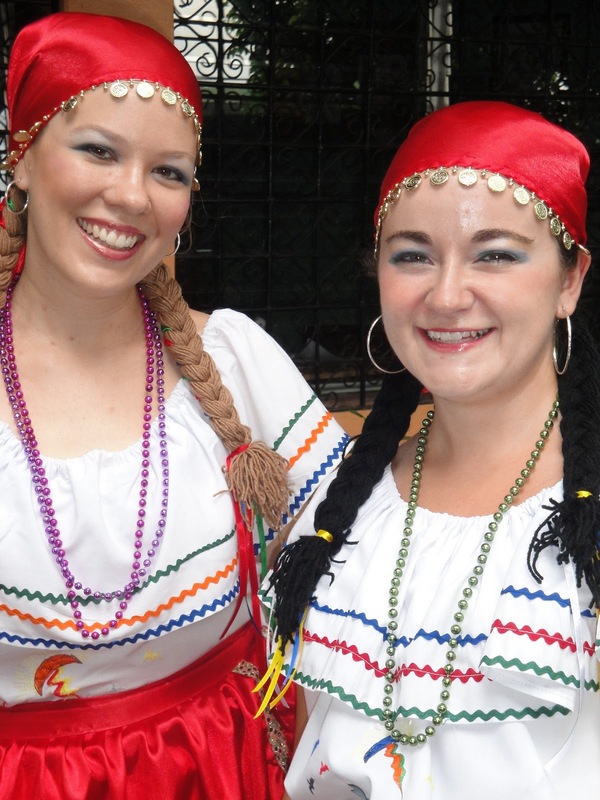 Kelsey first traveled to the Center in 2011 as a student on an immersion trip with Archbishop McNicholas High School. She’s dreamed of returning to the Center ever since. Welcome to the Center, Kelsey! 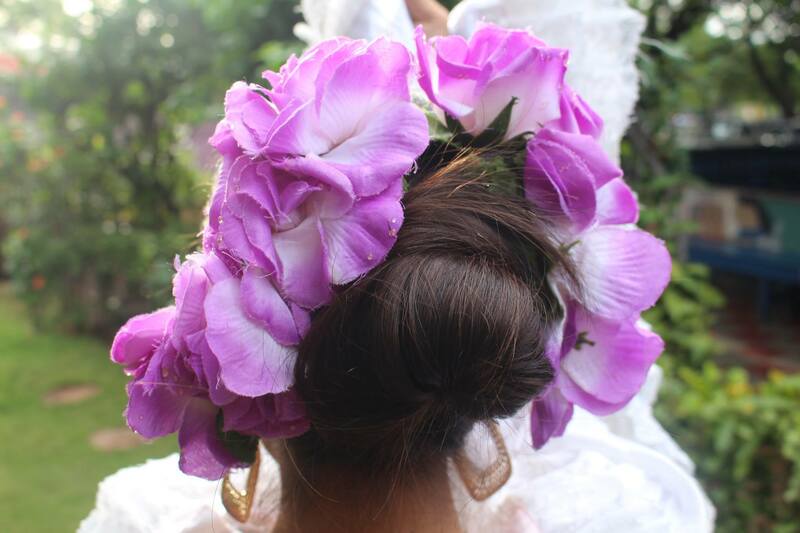 Cosmetology teacher Johanna Ocampo has a long history at the Center. She got her start in 2002 in the Center’s cooking class. Due to economic constraints, she had to drop out midway through the course but was offered a scholarship to complete her studies the following year. 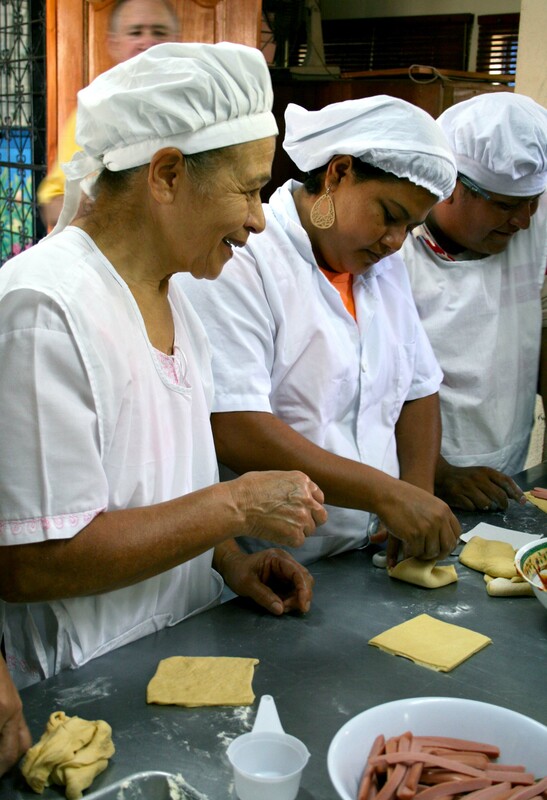 Later, when the cooking teacher got sick, she recommended that Johanna be hired, and Johanna served as the Center’s cooking teacher for nine years. Although not initially interested in cosmetology, she began taking a class when her daughter wanted her hair done for graduation. From that moment on, Johanna was hooked! 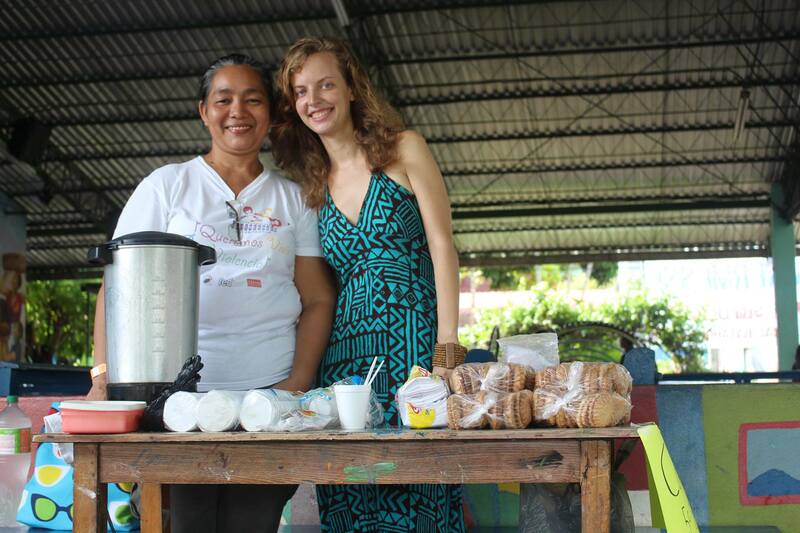 After three years of study, she was asked to teach cosmetology courses, and Johanna enthusiastically accepted. A born teacher, she’s been in the post for 5 years. Staff member leads children in a music exercise during the launch of the program. 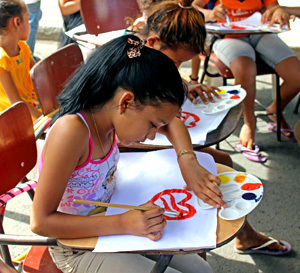 Acahualinca children paint as we introduce the gender-based violence prevention program. The program will focus on (1) empowering women by elevating their self-esteem and teaching them how to transmit knowledge and organize communities, (2) teaching women to become mentors, lawyers and psychologists for neighbors and friends suffering from violence, as well as teaching them Nicaraguan law so they can help others seek justice and security, and (3) providing these women with tools that will allow them to become economically self-sufficient. A men’s group will also be formed as part of the project, focusing on definitions of masculinity, respectful relationships, and the use of power. The program will also reach out to teenagers, using art to help them set life goals, discussing how to care for their bodies, and how to build healthy dating relationships. Lastly, the project will work with community leaders in churches, schools, and the political realm to insure the program succeeds. The program is being funded with grant money from the Irish Catholic NGO, Trocaire. Visitors to the Center participate in book club with the young students. 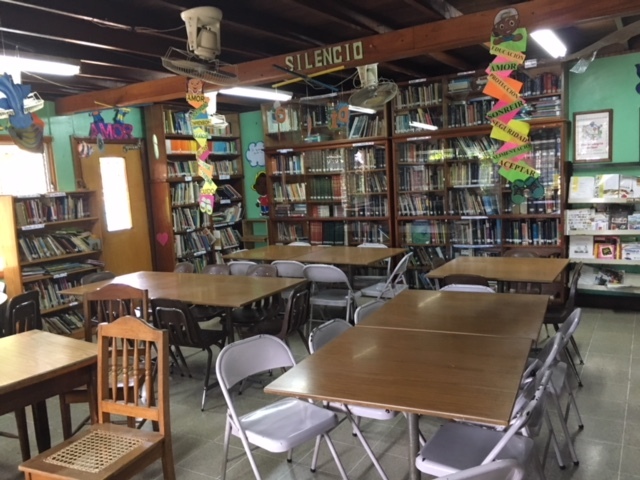 This year, the Center has started what is now a very popular Children´s Book Club (ages 8 to 11 years) and a Mini Book Club (ages 5 to 7). Three Saturdays each month, our young “book worms” take a literary journey! The book clubs promote reading comprehension, creativity, imagination, vocabulary building, viewing the world more broadly, and the development of analytical skills. “There was a need present in our community and book club was born to address that. Children don’t read for pleasure anymore and few homes promote good literary habits,” said Arlen Lopez, the Center’s librarian. The Center’s university and high school scholarship students prepare each week’s sessions. Typically, the scholarship students read a book and lead the children in a creative activity, like using clay to make a representation of what they think the main characters look like, or putting on a play to dramatize the plot. As students in the United States close their books and head outdoors to celebrate summer, the Center opens its doors to groups interested in a unique “summer vacation.” In June alone, the Center was proud to host five groups from all over the United States, from North Carolina to California. Two of the groups, both from Cincinnati, Ohio, were especially eager to spend quality time with our students and staff: the delegation from St. Ursula Academy and the delegation from Immaculate Heart of Mary (IHM) Parish and Archbishop McNicholas High School. 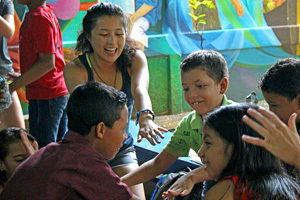 Immersion trips focus on connecting people, which the staff believes is the basis for positive change in the world. With our IHM/McNicholas delegation, the Cincinnati guests led a morning Reflection of the Word, contemplating on how to care for the soul that serves. Everyone from the student delegations and everyone working at the Center gathered together in a circle to listen, share, and sing as one. 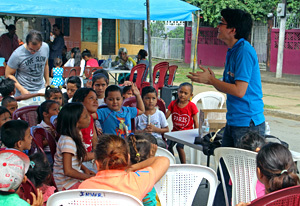 Below, students reflect on their life-changing trip to the Center. For many, it’s the most powerful experience they’ve ever had. 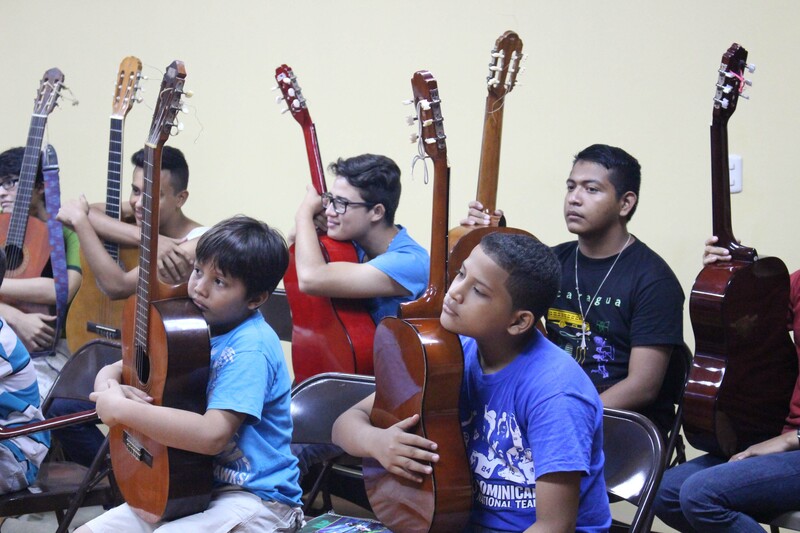 If you would like to visit the Center with a group and connect with us in Nicaragua, please contact Christina Blebea at christina.comunicacion@centrobatahola.org. 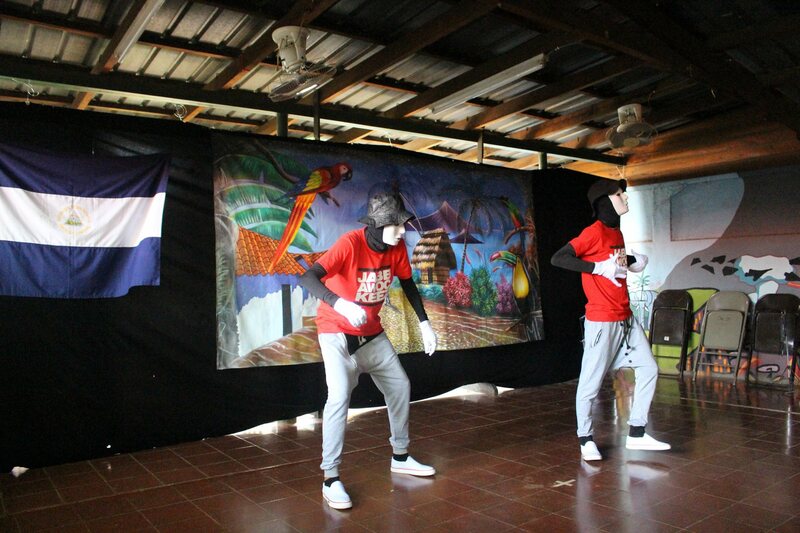 Nicaragua has provided an experience for me that will likely stay unmatched with anything. I’ve seen the most generous kind-hearted interactions from the moment I arrived. I truly believe God was present in the eyes and hearts of the people at the Center. I’ve learned more about compassion (from people I’ve only known for several days) than anywhere else in my life. I feel inspired to live more simply, to give generously, but most of all to give my entire heart to the people around me. There’s certainly a lot of hurt and hard times in our world, yet love is abundant and perseveres. Returning to Cincinnati, I believe I’ll take home a very renewed passion for social justice and equality. Having now been exposed to God’s creation, both in the beautiful nature and in the genuine people, my heart is open and ready for God’s plan for me. It was in God’s plan for me to be here in Nicaragua. 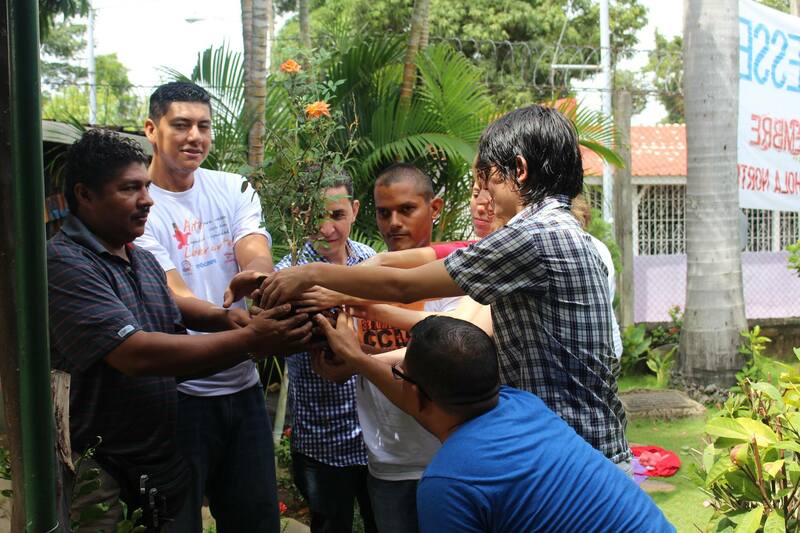 Nicaragua truly has been a life-changing experience for me. I have been fortunate enough to have been out of the country a few times and have experienced other cultures, but this was so different. I never thought it was possible to be so welcomed and so loved by people I know so little about. I thought I would be coming here to somehow make their lives better, but the people of this beautiful country have bettered my life in more ways than one. They have made my heart grow more than I thought was possible and have showed me what it truly means to be a culture of love and kindness. I have such a better idea of what it truly means to treat your neighbor as yourself, which is something I wouldn’t have been able to see any other way. 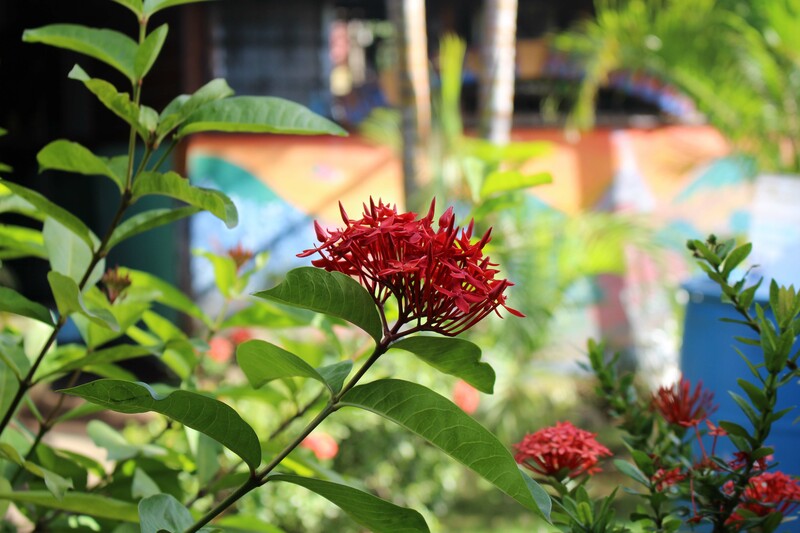 Nicaragua will always have part of my heart. If someone were to ask me how my Nicaragua trip went, my answer would be “how much time do you have?” In short, my trip was life-changing, breathtaking, humbling, and loving. I wouldn’t trade this experience for the world. Sharing this trip with my father made it so much better. This trip really rocked my world in that I don’t honestly know what I want to do any more. All I know is that I want to come back. The relationships that I have made seem to be the most caring and genuine relationships I have ever had. I am losing sleep over these people I have known for four days. Even with my lack of Spanish skills, I could still communicate, whether it be through a translator, fútbol, or just laughter and a smile and it was so real and loving it was unreal. These people have changed my life for the better. Why is twinning so important? 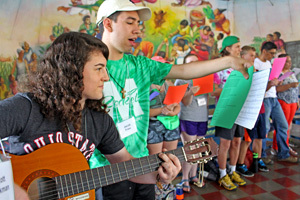 Why are immersion trips so important? First, we are Catholics, a universal church, and all are my brothers and sister. In Ocotal, Nicaragua, we went to the 18th century church, St. Peter the Apostle, and were greeted with a warm embrace by a gentle elderly woman. We prayed, as so many Nicaraguans have over the last 200 plus years, in the Church, praying to our one Lord. Secondly, we are Catholics, a universal Church, and all are our brothers and sisters. 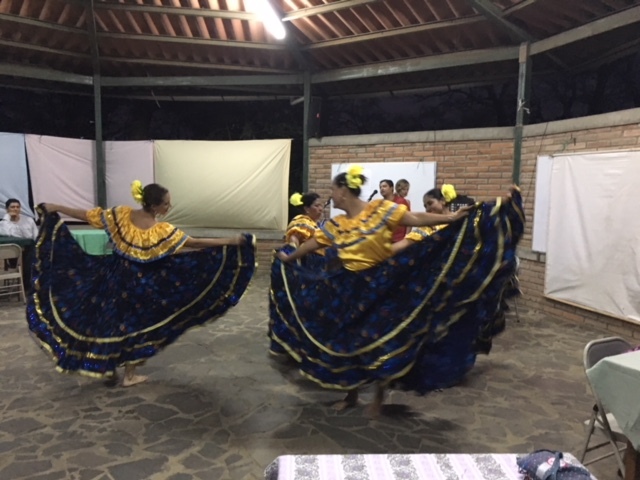 In Batahola and Ocotal, teenagers and adults from MHS and IHM shared laughter, conversation, dance, soccer, joy and happiness! For a brief moment in time, we touched the Spirit, the Spirit of the oneness that we share! We Twin -We Immerse so that we might continue to build the Kingdom of God on earth…a community of brothers and sisters, who truly share the journey with the Lord and each other! It is in this journey of community and solidarity that we become an authentic Church…a universal Church…for we are brothers and sisters. I am blessed beyond measure to be a part of this journey! More student reflections will be shared in the Winter newsletter. Our Beautiful Mosaic Is Complete! Kurt Nicaise and Douglas put on the final touches to the mosaic. 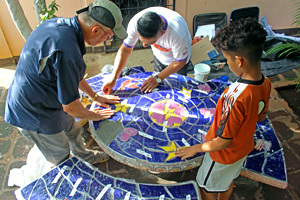 Kurt Nicaise, Luis Varela, and Douglas prep the mosaic. 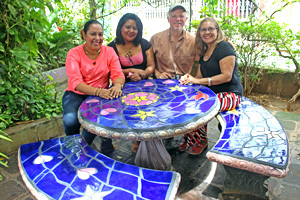 Fabiola Espinoza, Jessenia Cruz, Kurt Nicaise, and Ileana Zuniga enjoy the new table. We’re proud to share with you the new table and bench mosaic that sits behind the Center’s library. A special thanks to all who made the project a reality, especially art teacher and mosaic designer Kurt Nicaise (Sr. Ursula Academy, Cincinnati, Ohio). 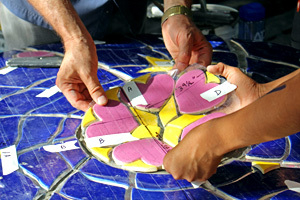 The mosaic design represents the twinning relationship and the loved shared for each other through Jesus Christ between the Center and Immaculate Heart of Mary (IHM) Parish in Cincinnati. The twinning relationship began in 2000. The mosaic tiles that I have made and added to the top surface of the table and three benches illustrate the spiritual bond between two communities: the Center and IHM. Beginning at the center of the table you will find five hearts and a star encased in a circle. This is the core, the spiritual center, or God. God radiates the energy of light and warmth—the star—and encircles it in love and blessings—the five hearts. Magnificently, the two cardinals represent a brother (Ryan Considine) and sister (Nancy Hecht) from IHM who hold the Batahola Norte community dear in their hearts but recently have passed on to their everlasting life. I love that the cardinals bring a very special energy through their expression and color, along with the memory of our brother and sister. I have really enjoyed being involved in this project and have equally loved visiting the Center again this year to install the mosaic. I hope that it is enjoyed for many years to come. A sincere thank you to all who helped turn this art project from an idea into a masterpiece. $200 Makes possible two sessions in a series of four that teaches 50 young girls about gender through art. Together, we’re transforming students’ lives at the Center through education…the most powerful force for positive change. You can help be the change by making a donation…no amount is too small. 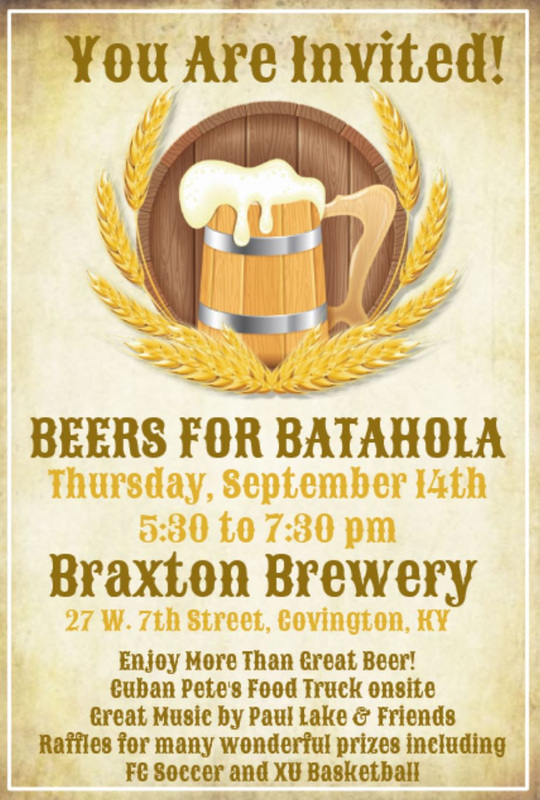 Click the Donate button above on the menu bar, and get started as a Friend of Batahola! $100 Buys 15 books for the Center’s travelling library which visits local schools. $200 Subsidizes art classes for children, making the study of art more accessible. $500 epairs or replaces 75 damaged books and buys supplies to keep the Center’s library up to date and well maintained.